Lavender is not just a fragrant flower, it is also an edible herb that can help with restlessness, insomnia, nervousness and depression. The flowers can also be crushed and added to muffins, biscuits or drinks such as tea or juices. 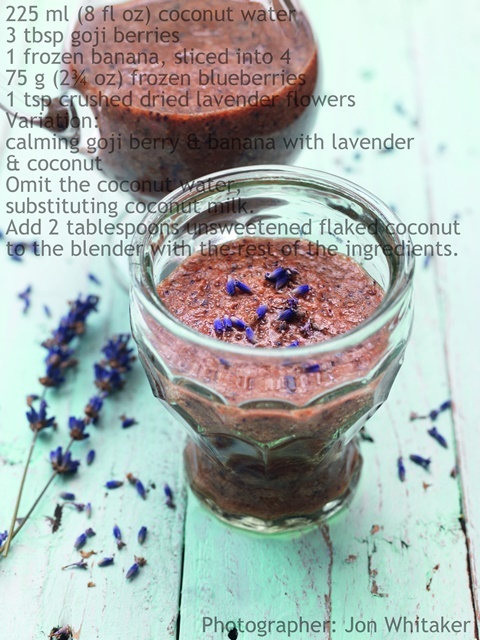 Here is has been used to make a calming goji berry smoothie with bananas, lavender and coconut. A month ago I was sitting at my desk when Dave sent something to the printer. It had run out of paper and so I topped it up and hit the resume button. Before handing him what had printed I glanced at it and noticed it was an invoice. I decided to check out the website of the service provider and noticed they had claimed work done at Dave’s workshop as their own. My blood started boiling and my heart rate increased. I was so cross on Dave’s behalf. I can state without a doubt that this person will not feature on my Christmas card list. In my mind that behaviour is dishonest. He is trying to get clients based on work he was employed to do and not concepts he came up with himself. I consider what he has done as theft! Dave was so calm about the issue. He has this ability to remain cool, calm and collected at all times. I however am more prone to feeling my emotions on all levels. To this end I always have Rescue Remedy close on hand. On this particular day, the calming goji berry smoothie would have done the job quite nicely. I would have sipped on it slowly, enjoying the flavours and letting the lavender do its work for me. I love smoothies, and goji berry is great for the skin health! Hehe Dave sounds like Mr NQN. He is always cool and calm and telling me to relax. What good timing. I just picked some lavender! I love freshly picked lavender! I have tried Rescue Remedy and it did nothing. But I do beleive in lavender and enjoy using it in cooking. This is a really original and relaxing smoothie and goji berry is a great addition. I use lavender essential oil a lot for helping me sleep while away. I’m also married to a Dave who is always cool, calm and collected. Wish I was more like that. 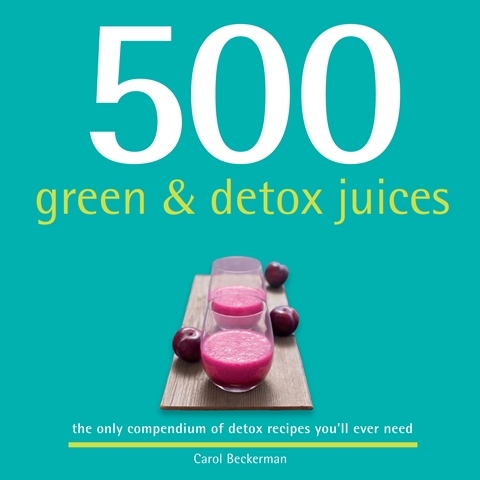 I probably need to drink one of these delicious calming smoothies every day! 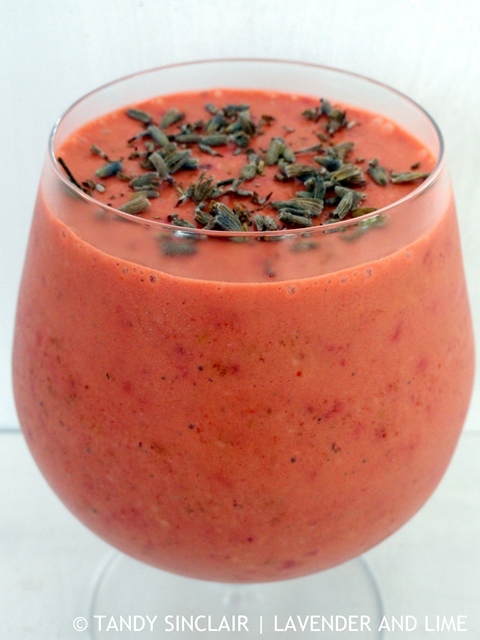 Lucky you had this goji berry smoothie to calm your nerves! I bet this is such a nice combination. I love using flowers in cooking. Hi Tandy! I always appreciate people like Dave who remain calm, cool and collected through the storm. That is NOT my husband. I consider him to be a bit of a drama queen. Anyhow, I love your use of lavender here and agree on the multitude of benefits. Lavender is awesome! !